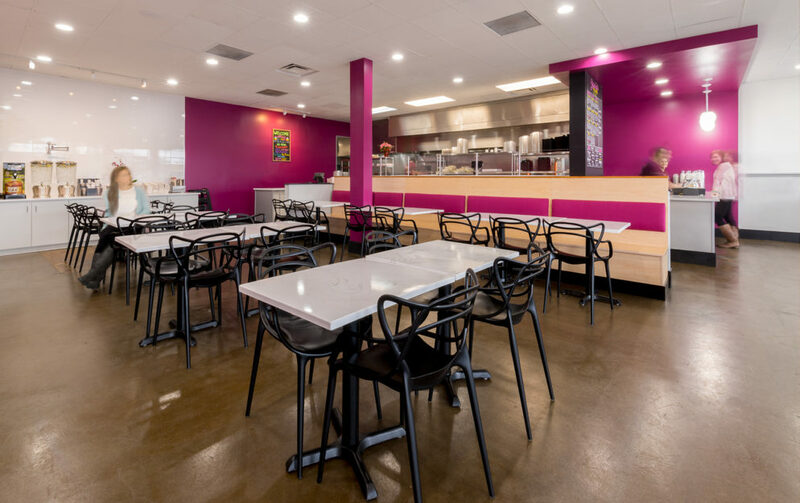 Yassin's Falafel House (West) - R2R Studio LLC. 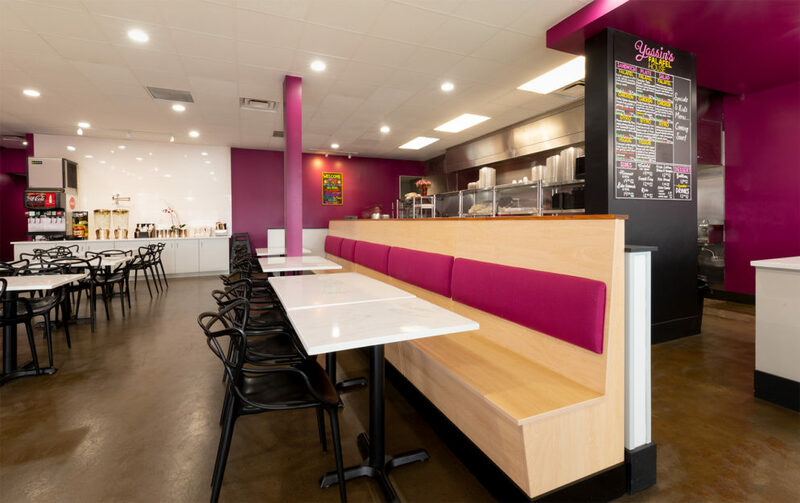 A local Knoxville favorite, Yassin’s Falafel House expanded their family-owned business to West Knoxville with the addition of a second location. 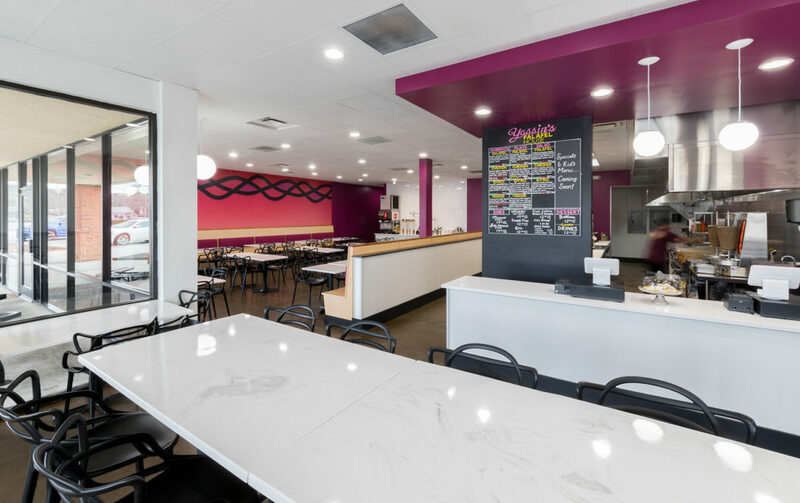 Design for the new space centered around recreating the inviting and vibrant environment of their popular downtown location. 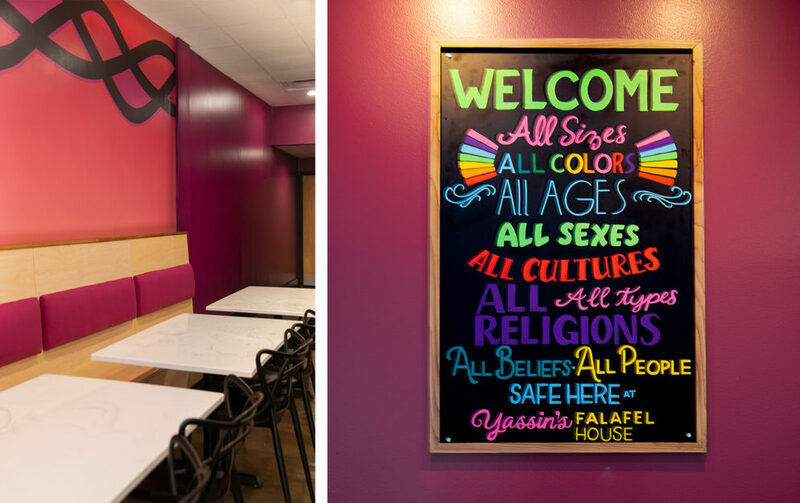 As stated in Yassin’s colorful chalkboard motto, it was important to create a space that was warm and welcoming for all. 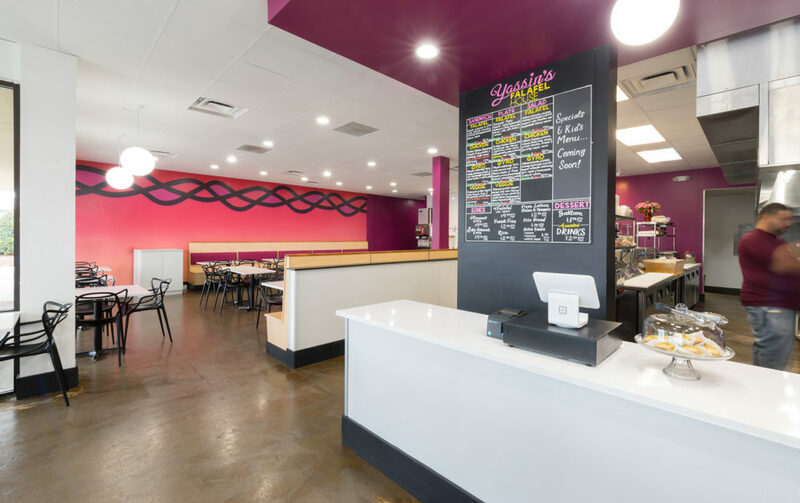 The kitchen remained mostly open not only allowing customers to see the unique preparation of their food, but also encouraging interaction between patrons and staff. The kitchen layout was arranged for fast-paced efficiency with an adjacent queuing space available to support large crowds during peak hours. 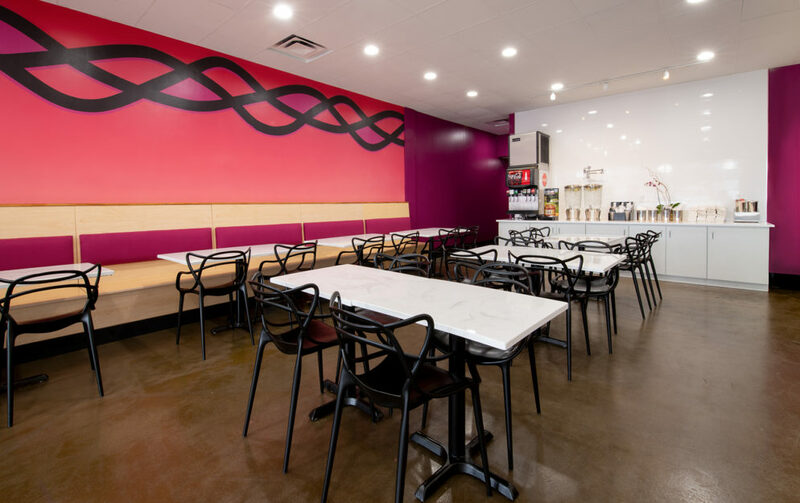 In the dining area, flexibility was key. 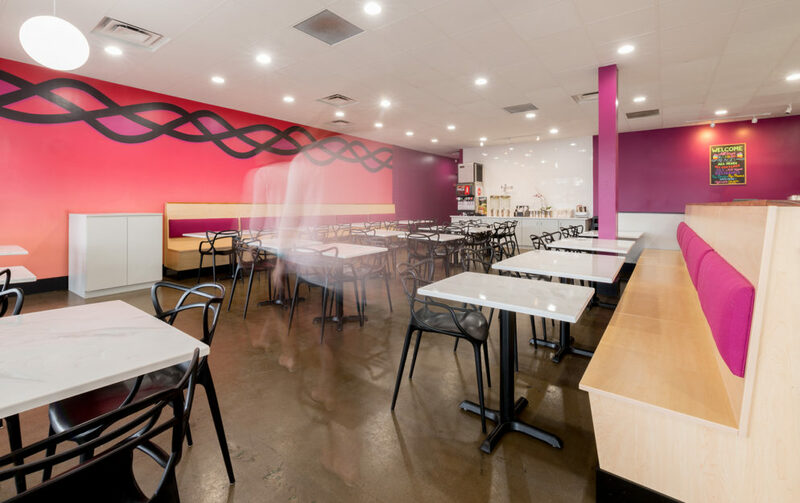 The tables are able to be pulled together to accommodate larger groups or remain separate for individuals stopping by for a quick lunch. 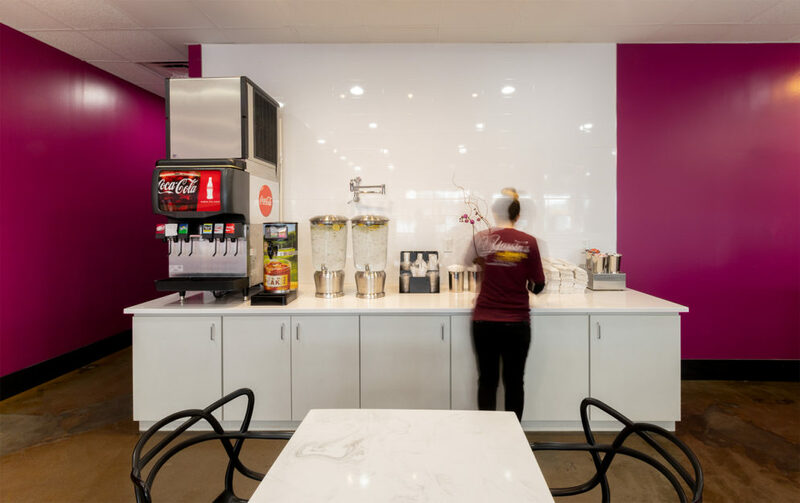 Clean lines and white finishes let the bold colors pop. 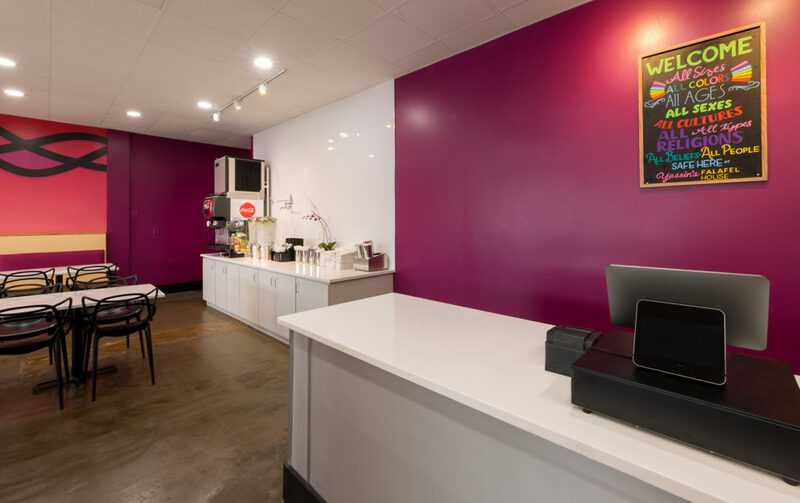 Yassin’s iconic magenta color greets guests at the service counter while the energetic wall graphic running the length of the dining room balances the space.